The letter mentions how Nikola Tesla successfully invented a device that could be used for Interplanetary Communication. It explains that Tesla Engineers built the device after Tesla died, in 1950, and have been, since that time in close touch with ‘Space-Ships’. Furthermore, the document from the FBI mentions how Tesla was a Venusian who was brought to Earth as a baby, in 1856 and was left in the care of Mr. and Mrs. Tesla in a mountain province in the former Republic of Yugoslavia, modern-day Croatia. 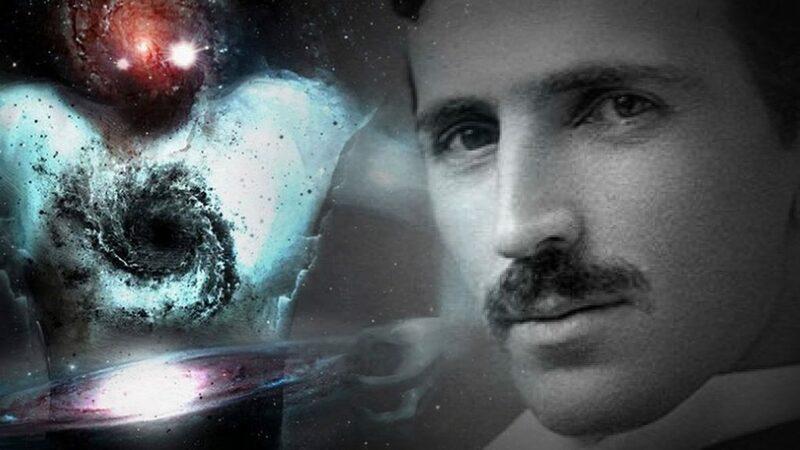 Everyone loves a conspiracy, and what better conspiracy than to suggest that Nikola Tesla, one of the greatest scientific minds who ever lived on Earth was an alien. This is mentioned in a declassified document by the FBI, freely available here. Declassified documents published by the FBI in their online Vault mention a number of interesting things about Nikola Tesla. The document is freely available at the FBI’s online Vault, and is dated to June 14, 1957, and titled “Interplanetary Session Newsletter“ mentions a number of controversial subjects. We have not issued a Newsletter since May 1, 1956 because we have no Space news we could consider authentic. However, now we have some good news to pass along to you. LECTURE – by George Van Tassel and Dan Fry, in Ballroom of Hotel Diplomat, 110 West 43 Street, New York City, 8 p.m. Thursday, June 20, 1957. Donation $1.25. George Van Tassel operates the Giant Rock (California) Spaceport and Airport and has been host at four annual Spacecraft Conventions. He is the author of two books: I Rode A Flying Saucer, and Into This World and Out Again. He is also published in Proceedings magazine, usually issued monthly. Back Issues of Proceedings have been reprinted in one volume. Address George Van Tassel, P.P. Box 419, Yucca Valley, California. Dan Fry is the author of The White Sands Incident. On this book, he tells the story of a trip which he made in a flying saucer from a desert spot on the White Sands Proving Ground in New Mexico to New York City and return, in 32 minutes. Dan Fry and other gentlemen are now en route to New York by automobile. George Van Tassel and Art Aho will arrive in Mr. Aho’s plane. They all plan to be in New York City at Hotel Diplomat on June 17. They will probably be heard next week on Long John’s program on Radio Station WOR, from 12 midnight to 5:30 in the morning, nightly except for Sunday. This letter will not reach you in time to sight flying saucers over New York on the night of June 13, from 10 p.m. to 1 a.m. But there will again be full-scale operations of flying saucers over all American areas on July 1. This will be in three phases as follows: New York Areas, July 1, 9a.m. ; Washington, D.C. areas at 9:25 a.m.; general North American areas, after 9:25 a.m.; Central American areas, 9:30 a.m.; South American areas, 9:35 a.m. Second phase: Same areas as above, beginning at 12 o’clock mid-day, July 1. Third phase: Full-scale operations over all American areas beginning at 7 o’clock on the evening of July 1. The above information has been supplied by George King, editor of Cosmic Voice, 88 The Drive Mansions, Fulham Road London S.W. 6. Also, please note that George King has also published back issues of Cosmic Voice in one volume price of $1.00 plus postage. This is beyond doubt the finest “buy” saucer messages that we know of. George King is considered the best telepathic contact which the space people have, although George Van Tassel is the finest we have in America. Margaret Storm has been assigned to certain work with the Space Popel, as follows: She is writing a book – Return of the Dove — as a story of the life of Nikola Tesla, scientist, and the part his inventions will play in the New Age. Much of the data for his book has been supplied to Mrs.
Storm through transcripts received on the Tesla set, a radio-type machine invented by Tesla in 1938 for Interplanetary Communication. Tesla died in 1943 and his engineers did not build the Tesla set until after his death. It was placed in operation in 1950 and since that time the Tesla engineers have been in close touch with the spaceships. The Space People have visited the Tesla engineers many times, and have told us that Tesla was a Venusian, brought to this planes as a baby, in 1856, and left with Mr. And Mrs. Tesla in a remote mountain province in what is now Yugoslavia. The above details and transcripts can be verified by visiting the following link: https://vault.fbi.gov. George Washington Van Tassel was an American contactee, ufologist, and author. Van Tessel an aircraft mechanic and flight inspector who at various times between 1930 and 1947 worked for Douglas Aircraft, Hughes Aircraft, and Lockheed. Van Tassel claimed to have been in contact with a spaceship from Venus. He was invited on board where ‘Aliens’ verbally and telepathically gave him a technique for rejuvenating the human body. The device was eventually built and called the “Integratron” and was supposedly partially built on the research by Nikola Tesla. George King was the founder of the so-called Aetherius Society, a religious movement based on extraterrestrial contact. King claimed that the Aetherius Society was the result of alien contact whom he referred to as the Cosmic Masters. The Aetherius Society combines UFO claims, yoga, and ideas from various world religions, notably Hinduism, Buddhism, and Christianity. The Book ‘Return of the Dove’ was dedicated to Nikola Tesla and — according to GoodReads — provides the scientific answer to the great spiritual needs of today’s world. Contents: Now and In the Beginning; The Days Just Ahead; The End of Man’s Crucifixion; This Cosmic Moment; The Nikola Tesla Story; Farewell of the Dove, etc. The book written by Margaret Storm is considered–nowadays–as a work of fiction providing no evidence whatsoever to back the claims that Tesla was either from Venus or another dimension. However, many readers agree that Storm provides an entirely different view on Tesla, his life, his origin, and his work.